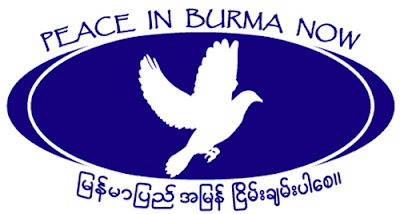 The Buddhist monks across Burma are boycotting the military personnel and their families due to ongoing abuses against Buddhist doctrine and clergy by the ruling military junta. The Burmese monks have demanded the military junta to apologise the killing and insulting of monks and the religion not later than October 2, 2009 or face the consequences of excommunication starting on October 3, 2009 in Burma and around the world. This is the second wave of the Saffron Revolution, that started in 2007. Known as a Pattanikkujjana in Pali, a Buddhist monks’ boycott involves refusing morning alms from those said to have violated religious principles. Burmese monks have declared a Pattanikkujjana against the military regime and their cronies twice in recent history: the first time in 1990 following the suppression of Aung San Suu Kyi and her opposition party, the National League for Democracy, after they had won a national election by a landslide; and again in 2007, the “Saffron Revolution,” when monks led demonstrations against price hikes in Rangoon that turned into a national uprising against the government. both reach the true Dhamma…. In Theravada Buddhism, monks (Pali: bhikkhus) and nuns go on a daily almsround (or pindacara) to collect food. This is often perceived as giving the laypeople the opportunity to make merit (Pali: puñña). Bhikkhus, to the lay disciple endowed with eight things, if the Community desires could turn the bowl upside down. What eight? Makes effort for, the non-gain of the bhikkhus, ill being of the bhikkhus, for their non-dwelling, scolds and abuses bhikkhus, disunites bhikkhus, blames the enlightened one, blames the Teaching and blames the Community of bhikkhus. Bhikkhus, to the lay disciple endowed with these eight things, if the Community desires could turn the bowl upside down. Bhikkhus, to the lay disciple endowed with eight things, if the Community desires could turn the bowl upright What eight?